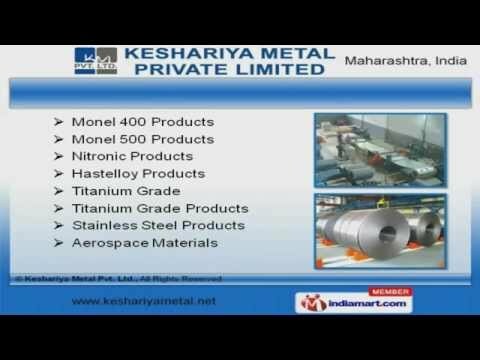 Welcome to Keshariya Metal Private Limited, Exporter and Trader of Steel Products. We are an ISO 9001:2008 certified company, established in 1999 at Mumbai. Client centric organization and Rich industry experience make us unique in the industry. Maximum client satisfaction, Client friendly payment and shipment options make us the first choice of our clients. We offer a vast range of Inconel 625, 800 and 925 Products. Our Monel 400, Nitronic and Hastelloy Products are best in the industry amongst others. We offer Nickel Products, Dairy Fittings and Duplex Rods that are widely acclaimed in the market. Maraging Steels, Aluminium Alloy Plates and Rods offered by us are some of our best selling products. Along with that we offer Stainless Steel Sheets, Coils and Pipes that are a class apart. We also provide Stainless Steel Strips, Rings and Fittings that are extremely reliable.